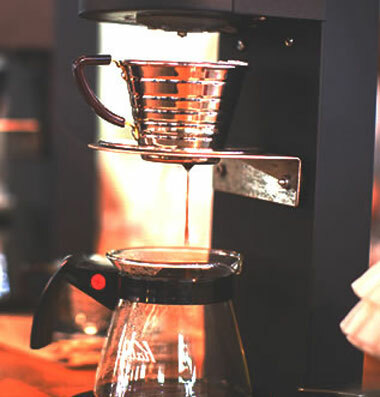 THE NEW WORLD ORDER - Marco Beverage Systems Ltd.
We are happily participating in what is very simply a wonderful, innovative and brave initiative in speciality coffee – Coffee Common at TED2011. But you knew that, ‘cos you all read David’s great post here on that subject. At the end of January this year, yes that recently, Alex Bogusky launched COMMON. Common is a shift in thought processes. It’s about community and shared values. So twitter, so new, says you. The difference, as I see it, is the leap to challenge traditional businesses and traditional business models. Power to the consumer always sounds a bit glib. Consumer power handed a brand (read turbo-charged-super-vehicle**) takes out the glib and turns it cool. Kudos to friend and community-colleague, Stephen Morrissey for using this shiny new super-vehicle as the spot-on, nail-on-the-head, right-time-right-place method to launch Coffee Common. The Common slide deck here is a very well thought out, succinctly communicated embodiment of a value-set which the Uberproject has been trying to uphold (see point 7 here) This deck is just soooooo much more lucid in it’s message delivery. I’m proud to be common! ** an Eco-friendly 100% recyclable super-vehicle, natch!